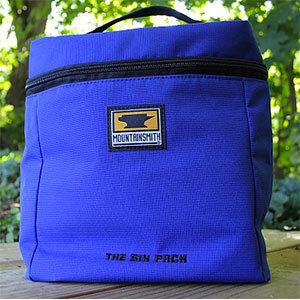 Although it has a slightly misleading name, the Mountainsmith Six Pack is a lightweight, collapsible cooler that has much more room than for just a 6-pack. 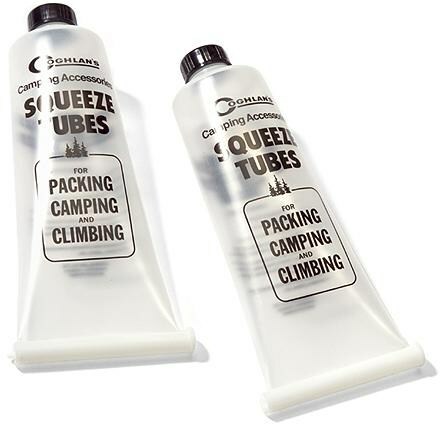 Best for day hikes, paddling trips, and car-camping, where things need to be kept cold and separated from other goods for only one day. 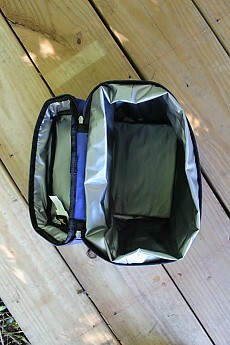 This zippered soft cooler is capable of keeping items cold for a day or so, depending on how much ice/freezer packs you include. 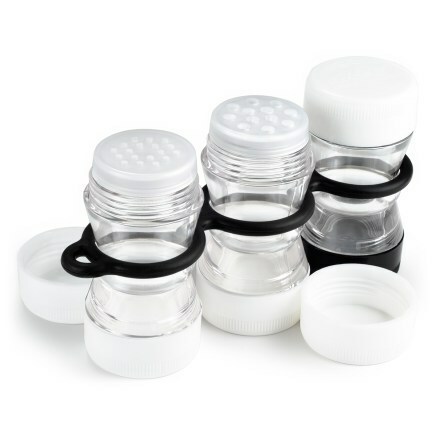 Even when your ice does start to melt, the seam-sealed interior prevents leakage, so no worries about leaving it in the tent or the car. 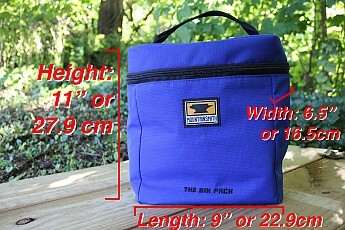 The cooler’s dimensions are 11” tall (27.9cm), 9” long (22.9cm), and 6.5” wide (16.5cm) and has a capacity of ~10L. 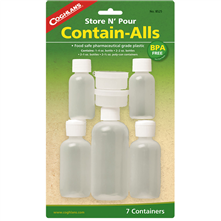 Before purchasing, I read a few reviews that mentioned this cooler could fit more than a typical 6-pack of beverages, but I was still surprised by just how much it could hold. This abundance of space is welcomed when car camping and canoeing, but when carrying it in my Osprey Talon 22 on a day hike (carrying a cold pasta or something similar for just one or two people), it can seem a little excessive. That's two bombers (22oz each), two 12 oz. 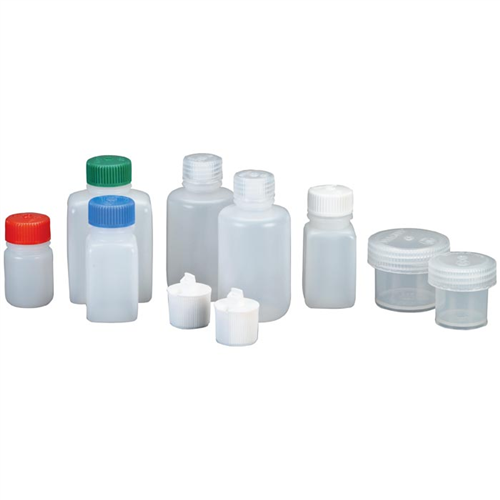 bottle, three 16.9oz. bottles of water, and two 12 oz. cans of beer. All comfortable fit into the cooler. 1) I’ve read that this cooler does fit the rest of the Mountainsmith modular cooler systems, but I don’t have experience with said system. 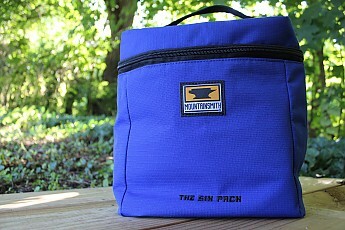 2) Although close in name, this is not the Mountainsmith Sixer cooler, which appears to be the newer version of this Six Pack cooler. 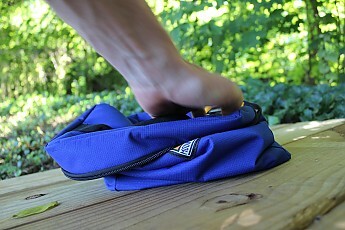 This soft-sided cooler is made of a 150D ripstop exterior with a nylon webbing top handle. The seam-sealed PEVA waterproof interior lining is very easy to wipe clean and has a pivoting (i.e. up or down) hard bottom that is not entirely rigid, but hard enough to give the cooler some shape. 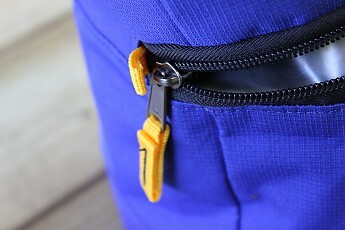 The zipper is routinely smooth and the bright yellow zipper pulls are easy to spot, which is especially nice in the middle of the night when your nephew wakes up in the tent and wants a drink of cold water. Bright zipper pulls and connection points. 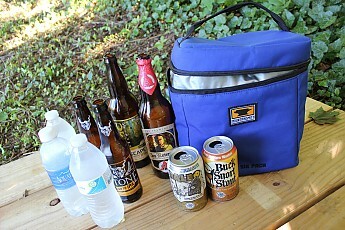 Notice the hard, flat surface at the bottom of the cooler. 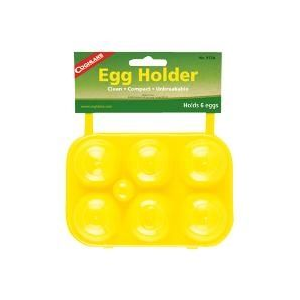 This can pivot to be in the upright position if need be and gives the cooler some shape. 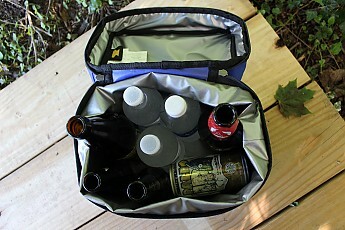 Collapsible soft coolers make for easy storage. For three years now, I’ve mostly used this soft cooler in the spring/summer months (temps: 65F-95F) in order to keep refreshments and food cold while on day hikes, canoeing, and car camping. On occasion, I’ll even take it into the office when I have a larger than usual lunch. The cooler has been weighted down to the max with glass bottles and cans of adult beverages and there is no signs of wear or fraying of seams. If you’re okay with re-financing your house and selling off your organs in order to purchase one of those coolers named after the abominable snowman, go for it. By all means, those are better quality coolers. However, for a much, much lower price, this cooler will serve you well for short trips, but don't expect it to keep contents cold for multiple days. Stone! One of my favs! The Mountainsmith Six Pack is not available from the stores we monitor.